Digital Signage Group is a leading provider of digital signage services to the Australasian market, providing turn-key solutions including hardware, software, installation, content creation, and network management. As a market leader we are proud to supply blue chip clients like Fairfax Media, Accor hotels, 7-Eleven convenience stores, YHA hostels, IGA supermarkets, Westmead Hospital, Fulton Hogan offices, and many more. Our solution is applicable many industries, including accommodation, retailers, healthcare, providers, Quick Service Restaurants, and government departments. Contact us to learn how we may be able to help your business or brand. Founded in 2005 the company has grown from its early beginnings to now have a nationwide network of screens in the retail, hospitality and work place environments. As pioneers of the industry both is Australia and New Zealand, Digital Signage Group has grown and succeeded where many others have failed. We are one of Australasia largest and most experienced digital signage integrators. With a reputation for delivery we are proud of our blue chip client base. We work collaboratively with our clients to understand their requirements, then design and deliver solutions to drive great outcomes. We are focused on servicing and supporting our existing networks and not just moving onto the next sale. Our clients value our dedicated approach to managing their hardware, software, and content. We would love to help you with your upcoming digital signage project. We were installing digital screens in 2005 when our competitors hadn't even thought of Digital Signage. We partner with leading hardware and software suppliers, and have built deep relationships with reliable and talented installers and graphic designers. Avoid the pitfalls and cost overruns of a less experienced operator, and leverage our extensive knowledge and learnings. From Accor Hotel Group to 7-Eleven stores across Australia, from Fulton Hogan and The New Zealand Herald in New Zealand. 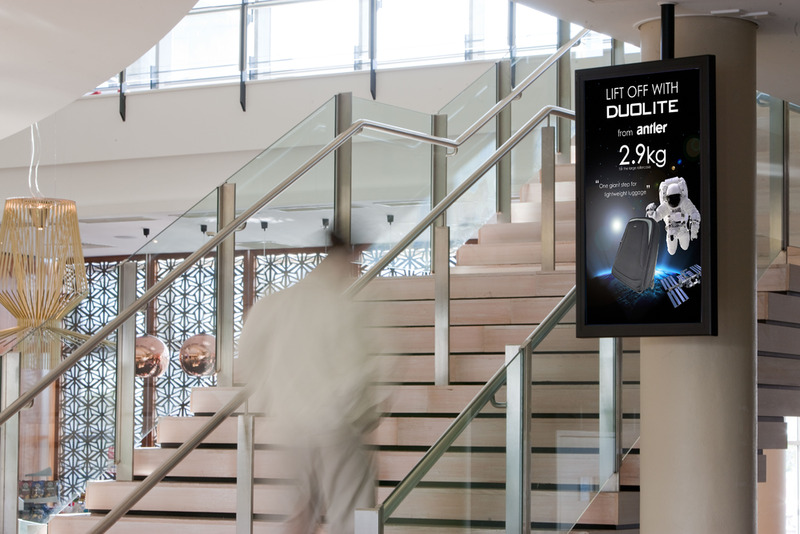 Digital Signage Group provides solutions to some of the largest and most innovative companies In Australasia. Your company can benefit from our experences of working working with the best.